Myalgic Encephalomyelitis/Chronic Fatigue Syndrome, also known as Systemic Exertion Intolerance Disease (“SEID”), is a debilitating, often misunderstood disease. It is generally characterized by severe, overwhelming fatigue that does not improve with rest, and post-exertional malaise – or the inability to recover normally from even minimal physical or cognitive exertion. Individuals with Myalgic Encephalomyelitis also experience general weakness, cognitive problems, unrefreshing sleep, muscle or joint pain and flu-like symptoms. Unfortunately, there is no known treatment to cure this disease. Knowing how to substantiate your claim (e.g., through medical evidence, proof of treatment, etc.) will help increase your chances of approval. Here’s what you need to know before filing your long term disability claim for Myalgic Encephalomyelitis/Chronic Fatigue Syndrome. Myalgic Encephalomyelitis/Chronic Fatigue Syndrome can cause a host of ongoing physical and cognitive symptoms that can result in long term disability. These symptoms can be particularly distressing because they do not improve with rest. Individuals with Myalgic Encephalomyelitis/Chronic Fatigue Syndrome may be confined to their bed for days or weeks following even low levels of exertion. The insurance company will want to know all of your symptoms so it can better understand how and why they prevent you from working. The insurance company will likely require objective proof of symptoms and/or a diagnosis for any long term disability. Myalgic Encephalomyelitis/Chronic Fatigue Syndrome is no exception. However, the problem with this disease is that there is no single test that can confirm a diagnosis of Myalgic Encephalomyelitis/Chronic Fatigue Syndrome. Therefore, it is often difficult to objectively verify its symptoms. Cognitive impairment OR Orthostatic intolerance. Evaluations by a physician including: a thorough history, physical examination, specific workups to determine a differential diagnosis, and referrals to appropriate specialists to rule out other causes to the individual’s symptoms. The history should be thorough – documenting the onset and progression of the individual’s disease and the severity of their symptoms, particularly their fatigue and post-exertional malaise. The workup may include, without limitation, laboratory/blood tests to document: the presence of viruses such as Epstein Barr and Human Herpesvirus-6; bacterial infections, which are thought to trigger or contribute to Myalgic Encephalomyelitis/Chronic Fatigue Syndrome; and elevated cytokine levels commonly found in patients with Myalgic Encephalomyelitis/Chronic Fatigue Syndrome. Neuropsychological Evaluation to document the individual’s cognitive deficits. Lifestyle changes. As fatigue and post-exertional malaise are hallmark symptoms of Myalgic Encephalomyelitis/Chronic Fatigue Syndrome, your doctor may recommend: improving your sleep habits; adjusting your daily schedule to take advantage of times when you have more energy; pacing yourself during the day by avoiding physical and cognitive demands when you are not feeling up to it; adjusting your diet (g., avoiding caffeine); a graded exercise program; stress management; and properly controlling the light and noise of your surroundings to avoid increasing your symptoms. Medications. While no medication can treat all your symptoms, your doctor may prescribe medications such as sleep aids; anti-depressants; anti-anxiety drugs; stimulants; nonsteroidal anti-inflammatory drugs; over-the-counter pain relievers; antibiotics or anti-viral medications (if you have high levels of antibodies to certain organisms); and intravenous immunoglobulin. These medications may have side effects, which the insurance company should consider. Cognitive Therapy. Your doctor may recommend cognitive behavioral therapy (“CBT”) to mitigate your problems with concentration, focus, attention and processing speed, for example. This type of therapy may also help you cope with your other symptoms as well. Alternative Medicine. Your doctor may recommend taking nutritional supplements, acupuncture, yoga or massage therapy. Because an insurance company can easily use non-compliance and lack of appropriate care as a reason to deny your claim, an individual should follow their doctors’ advice and treatment plan. Myalgic Encephalomyelitis/Chronic Fatigue Syndrome can be extremely disabling. However, the insurance company may not understand the nature and severity of your symptoms or the impact they have on your job. To increase your chances of approval, you can explain how and why each of your symptoms prevent you from performing your job duties. For example, your fatigue, exhaustion and general malaise may make it impossible for you to carry out your activities of daily living – let alone your work-related activities. You may not have enough energy to stay awake or alert during an important meeting and you may have difficulty completing a normal 8-hour workday. Your cognitive deficits also may make it very difficult to concentrate or focus on conversations with co-workers or on preparing that important memorandum within a strict deadline. Your inability to quickly process information may prevent you from understanding complex matters and cause you to work at a slower, unsatisfactory pace. Many people with Myalgic Encephalomyelitis/Chronic Fatigue Syndrome find it difficult to maintain a normal level of activity. They experience “push-and-crash” cycles. This occurs when, on a “better” day, you push yourself to perform more tasks or activities than you normally would attempt given your symptoms. Unfortunately, even a minimal, routine task like cleaning your bedroom, can result in a severe relapse of your symptoms (a.k.a., a crash) leaving you bedridden for days or even weeks on end. This can be particularly troublesome since all jobs require regular attendance and frequent absences will not be tolerated by most (if not all) employers. So, it is often beneficial to explain how your individual symptoms prevent you from performing your job duties by preparing a detailed, written narrative for the insurance company. In many cases, it is helpful if the narrative addresses all of your symptoms by listing them separately first. Since many symptoms of Myalgic Encephalomyelitis/Chronic Fatigue Syndrome are subjective in nature, your narrative can also address the severity of your symptoms, as well as any factors that may trigger or exacerbate your symptoms. In addition to your narrative description, when determining whether your Myalgic Encephalomyelitis/Chronic Fatigue Syndrome is disabling, the insurance company will likely want the opinions of your treating doctor(s). 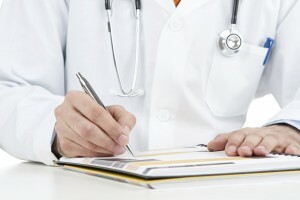 The insurance company may weigh its decision very heavily on your doctor’s opinion – so your doctor’s support is key. Your doctor’s reports should focus on the frequency and severity of your symptoms; their direct observations of you during office visits; and your specific restrictions and limitations that prevent you from working. Your narrative and your doctor’s support will go a long way in helping to prove your disability due to Myalgic Encephalomyelitis/Chronic Fatigue Syndrome. Myalgic Encephalomyelitis/Chronic Fatigue Syndrome is a serious, and often misunderstood medical condition that may result in total disability. To file a successful long term disability claim, your claim should be supported by sufficient medical evidence and proof of appropriate treatment. It is also helpful to document the nature and severity of your symptoms and explain in detail how those symptoms prevent you from performing your job duties. Knowing how to substantiate your claim will significantly increase your chances of approval.